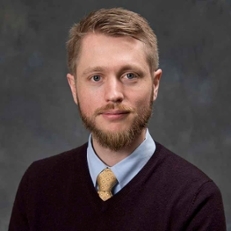 Brian Seavey manages undergraduate engagement programming with a focus on building academic enrichment, civic engagement, leadership development, professional preparation, and global citizenry of SPEA students. Before coming to SPEA in 2016, Seavey worked with undergraduate, graduate, and medical students at Duke University and the Yale School of Public Health. Prior to entering higher education, he was a Peace Corps Volunteer in Mali, and he also has experience working in Haiti and Senegal. His undergraduate degree is in chemical engineering from the University of Virginia and he earned a Master in Public Health from the Yale School of Public Health.